If you have ever attempted to tire shop and felt lost in the jargon of the tire descriptions, you know that there is a lot of different terminology at play when it comes to tires. Here’s a brief glossary of tire terms. Knowing these terms can help you make an informed purchase the next time you are in the market for new tires. Bead – This is a loop of strong, rubber-coated steel cable. It provides the strength needed to keep the tire seated on its rim so that it can withstand the impact applied to the tire by the mounting mechanism during the installation process. Body – The tire’s body is composed of various layers of fabrics or plies. Polyester cord is the most used ply. In a radial tire, the cords and the tire treads are perpendicular to each other. In older tires, the fabric and the tread met at different angles. The plies used in the tire are rubber-coated for easy bonding and sealing with the other components. The strength of the tire is determined by the number of plies it has. Belts – Belts made of steel reinforce the area under the tread in steel-belted radial tires. The belts are puncture-resistant and help in making the tire stay flat for better contact with the road. Cap plies – These are extra layers of polyester fabric that hold all components in place. Cap plies are mostly found in tires with a high-speed rating. 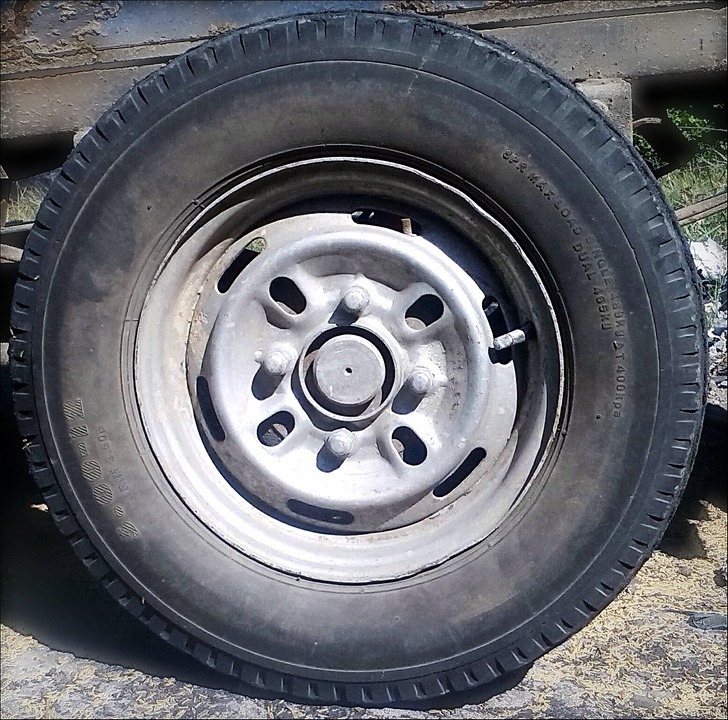 Sidewall – This component provides the much-needed stability to the tire and protects the plies so that air does not escape. Additional components may be added to increase the tire’s lateral stability. Tread – The tire tread comprises a mixture of different kinds of natural and synthetic rubbers. The tread has different patterns that help maintain traction on the road. The tire parts are assembled using a tire-building machine. This mechanism ensures that all of the components are in their proper location to form the tire as designed. When the tire’s components are first assembled, they are in the “green tire” stage. This means that they are not yet held tightly in place, and there are no markings or tread patterns. The green tire is brought into the tire-curing machine that works like a waffle iron. The markings and traction patterns are molded on the surface of the tire at this point. The different tire components are then bonded together by the heat of the tire-curing machine. After a few final finishing and inspection procedures, the tire is ready to roll.